Create 3D models of LED luminaires, for printing on 3D printer with relevant for the application in the form of exhibition copies. Visitors of the exhibition rooms can see the finished product and a potential customer. 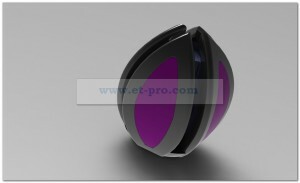 Recently, decorative LED lights are widely application in the design of residential projects. They are more used as a decorative element of the interior. When enabled, LED lighting creates a soft pleasant light. Typically, LED luminaires have LED lamps, which, in its characteristics are very attractive to the consumer. Decorative luminaires – can have a wide variety of external forms. 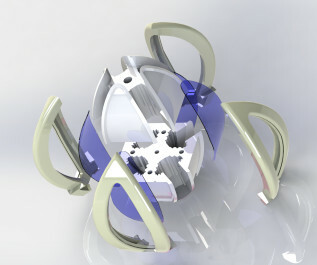 Designer can create a sketch, which we will develop a 3D model of the luminaire. 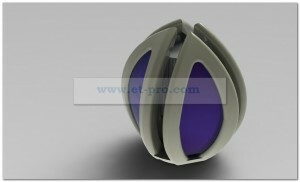 Then, on a 3D model can be made decorative LED lighting. We describe the construction of decorative LED luminaires, a 3D model, which was developed for us, has addressed manufacturer lighting fixtures from China. As a light source LEDs are used, they must be protect from overheating. That is why we use method of passive cooling – heat housing-radiator. Housing – radiator has longitudinal conical edges to increase the total surface area. 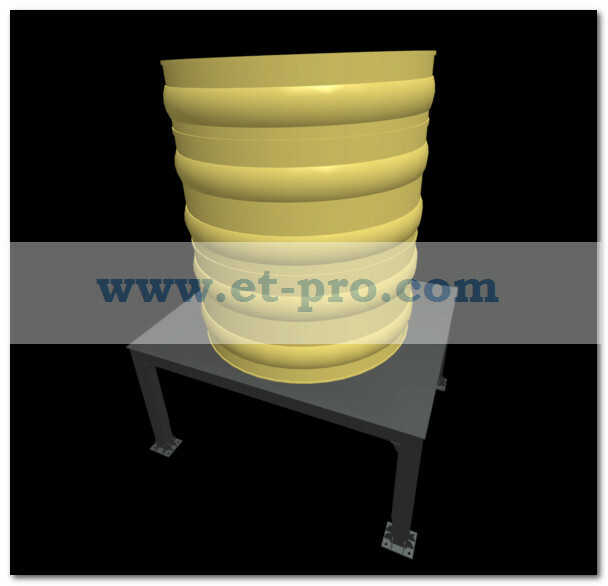 It accordingly result in greater heat transfer in the process of convection environment. And another positive constructive point – is that at the same time decreases the mass of the lamp, while maintaining the structural strength. All this combined provides a guaranteed uptime of LEDs. So, 3D model of the luminaire consists of a body, which includes top (Figure 1) and lower (Figure 2) radiators, the electronical board (Figure 3), plafond of silicone (Figure 4 and Figure 4a) and Plexiglass (Figure 5 and Figure 5a). The body is connected a threaded connection. Thus, collapsible design provides full access to the radiator the LED lamp, for perform cleaning of accumulated dust over time. 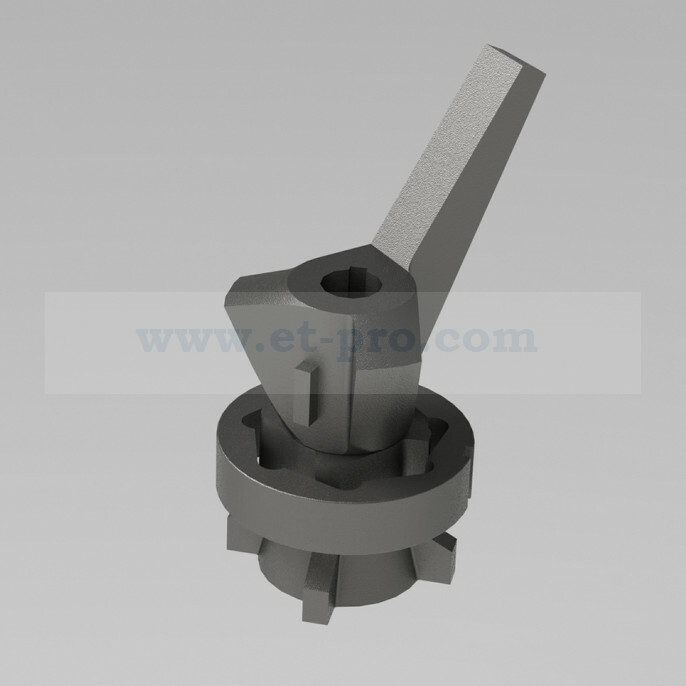 For manufacturer it provides workability in the manufacture of the product. Further, housing recess, which are located outside, set the electronic board (Figure 3), which are placed LEDs. For convenience of drawing location LED on the electronic board, we provide circuit designer 3D model flat electronic board (Figure 3). After laying and fixing the electronic board mounted on the body of silicone plafond (Figure 4), which stipulates the grooves for fixing the plexiglass (Figure 5). The glass plafond is set tightly in the grooves. This protects the electronic board from hit the dust on its surface. Also, at the request of the manufacturer, was created yet another embodiment 3D model of plafond (Figure 4a), and a 3D model of the glass (Figure 5a). As a result, received a beautiful 3D models of luminaires to send the 3D-printer. 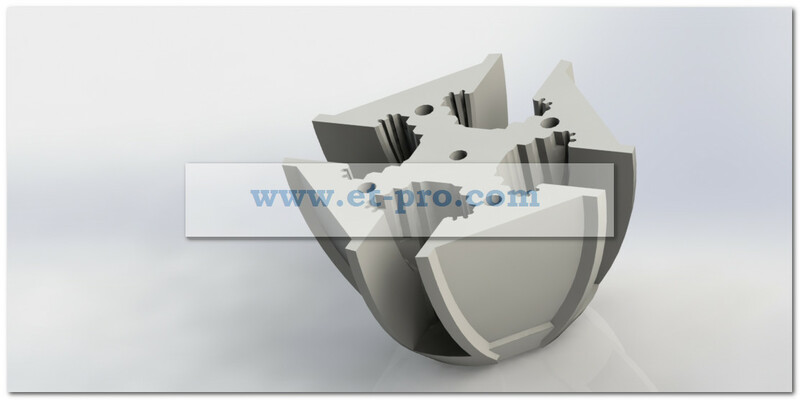 Manufacturers that appealed to us from China, were satisfied with the result of our joint work. After manufacturing such luminaires can be perfectly combined with a suitable interior design and create a fabulous atmosphere.